York Racecourse offers a wonderful venue for weddings and is fully licensed for civil ceremonies and civil partnerships. Each of our suites have a different feel and need to be seen to get a real feel for how they could work for your special day. From the Eclipse Suite - with its top floor outdoor balcony, views to York Minster and the white horse at Kilburn, to our modern and airy Nunthorpe Suite. Alternatively, sample the intimate and traditional Edwardian Gimcrack rooms for your special day. With an experienced event management team who regularly host weddings, corporate events and race days, we’re committed to delivering the same high level of hospitality and service for each and every civil celebration and ceremony - no matter how large or small. Our experience in-house catering team have a firm belief that the best of produce can be sourced from here in Yorkshire and have built up strong and trusted relationships with regional suppliers to bring our customers the very best. 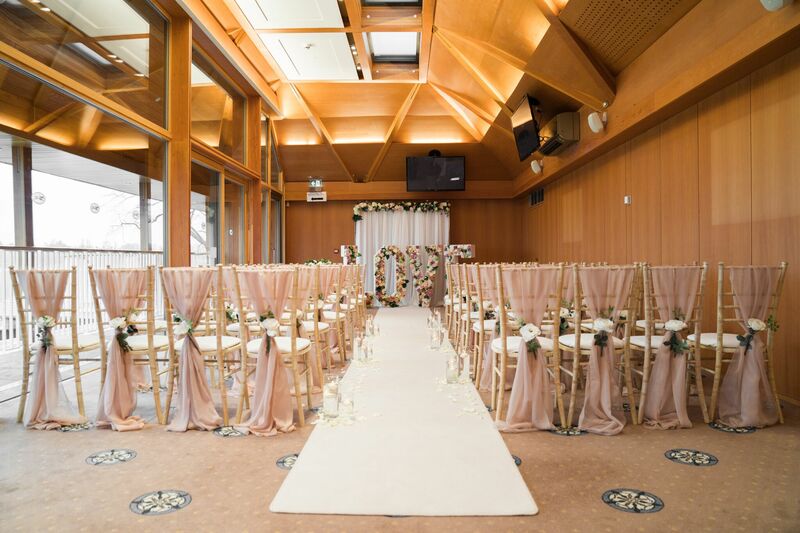 Why choose York Racecourse for a Civil Ceremony? Say "I Do" in one of our many impressive rooms and suites. Experience a seamless transition from ceremony to reception. Enjoy an outdoor drinks reception (weather permitting). Take advantage of our plentiful free car parking for your guests. To show you our range of suites to see how our stunning facilities can work for your civil ceremony or partnership, please give us a call. You can reach Rebecca Saltmer on 01904 638971 or email for more information.